Our Trademark Texas Lone Star Rug® from the United State Patent and Trademark Office is a beautiful Rustic, Southwestern, Texas Lone Star Rug®. 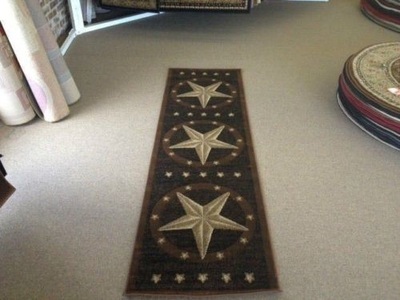 It has a luxurious color combination to enhance your decoration style. 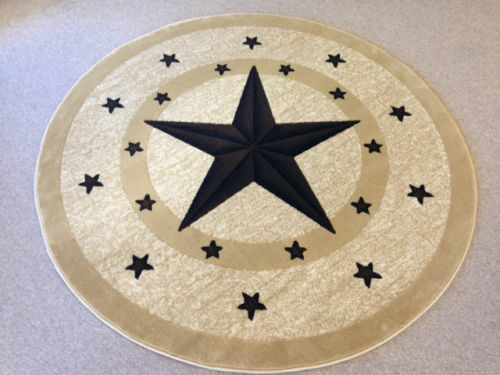 It has an 8-9mm pile height which makes it soft to the touch, it contains 300,000-400,00 points per square meter. 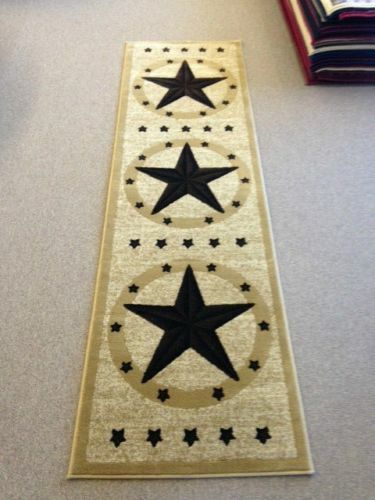 This rug does not shed or fuzz and is made from 100% Polypropylene with Jute Backing. 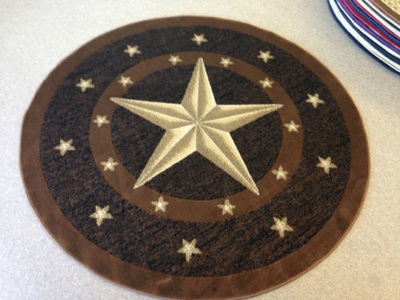 Also, this rug is Colorfast (resistant to stains, soiling or fading.). This rug can be cleaned at home by yourself or have it professionally cleaned. Our Texas Lone Star Rug® comes in different sizes like (2'3 x 3'3) (2'3 x 7'7) (3'11 x 5'7) (5'3 x 7'7) (6'7 x 9) (7'10 x 10'10) (9'3 x 12'10) Also, round in two sizes (5'3 round) and (7'10 round). 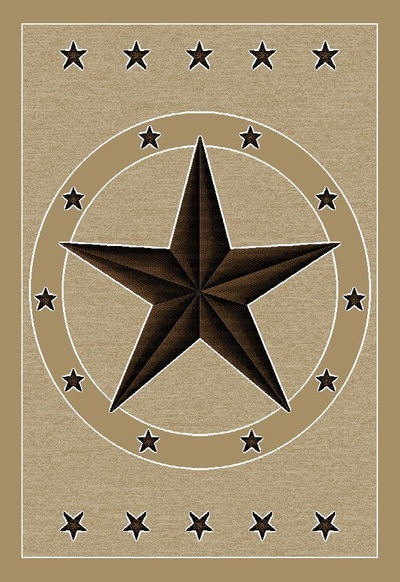 Texas Lone Star Rug® can be purchased at our store in Tyler, Texas or we can ship any size to your address. For questions or if you would like to place an order contact us at 903-581-6567. 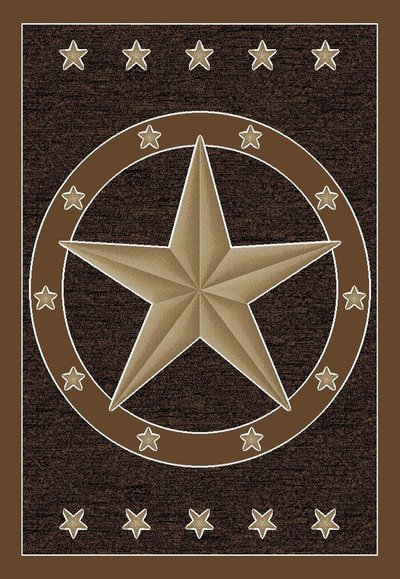 Texas Lone Star Rug comes in different sizes like (2'3 x 3'3) (2'3 x 7'7) (3'11 x 5'7) (5'3 x 7'7) (6'7 x 9) (7'10 x 10'10) (9'3 x 12'10) Also, round in two sizes (5'3 round) and (7'10 round).